Spring is FINALLY among us (it took her long enough!) and I am wearing, for the first time since November, jackets that aren’t parkas and peacoats! There are SO many cute spring items on the shelves right now, and i have been dying to put them to good use. 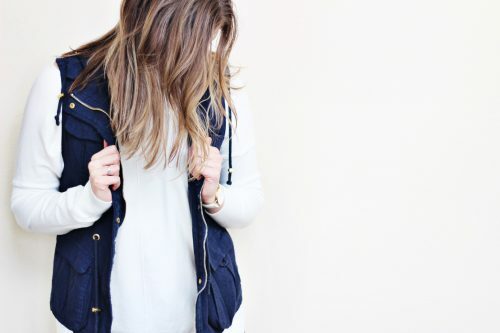 One of my absolute favorite items that is so trendy right now is a classic utility jacket. They are so perfect thrown over a t-shirt, but can also be dressed up. And while I love a good basic jacket, I am also a sucker for details. 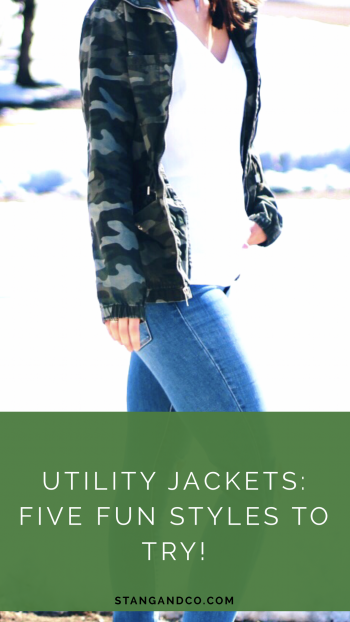 Keep reading for five of my favorite fun and unique utility jacket trends! I saw this jacket on my friend Taylor, and immediately fell in love with it. The price tag is kind of steep, but Gap always has incredible sales and discounts. On the day I purchased it, It was marked down to only $50, and I had $25 in rewards, so I snagged this $160 jacket for, no lie, $25. I just love the navy blue lace detailing over the shoulders, and the adjusting waistband ties. The quality is amazing and it really is worth the price, but a rule of thumb at Gap is to NEVER pay more than 60% for something. They offer sales with 40% off pretty much weekly! Confession: my husband made fun of this one. But the joke is on him, because the camouflage trend is EVERYWHERE right now. I was hesitant to jump on board, but I kid you not, this is one of my favorite jackets ever. It comes in a bunch of other colors, as well as petite and tall sizes. I ordered a large tall (I usually wear a medium at this store but sized up so I can layer) and it fits like a dream. Other fun options can be found here and here. And if you are feeling EXTRA fun, this one is camo AND blush. All of the heart eyes! 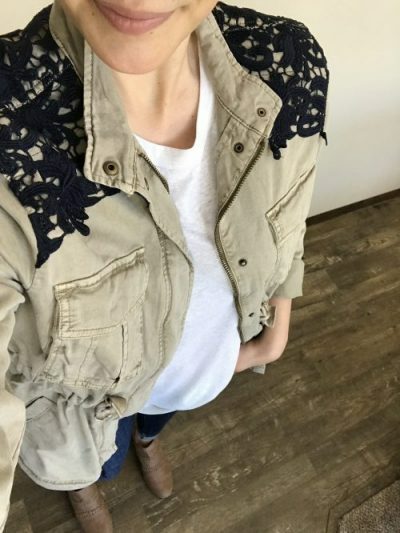 I am a sucker for pretty details, and I actually snagged this jacket last spring. But it is still in stock, and comes in this color too! It has a drawstring waist so it can be adjusted, and I just love the unexpected look of the chiffon layer beneath the utility jacket. Mixing fabrics is one of my favorite ways to spruce up a simple look! 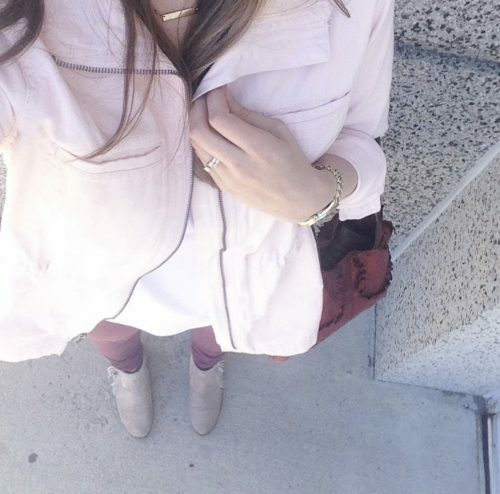 My love for blush runs deep, and that extends to utility jackets. I love and wear mine constantly! The pink detail above the pocket is a fun touch on this one, And I love that this one is a little bit longer! And my favorite option that comes in so many colors includes a pretty blush, too! 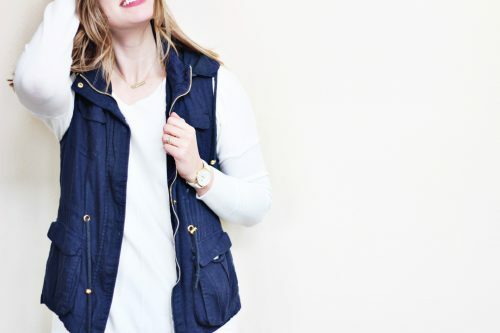 What are your favorite jackets to wear in the spring? I hope you guys have a fabulous rest of your week, and are enjoying some spring sunshine! *This post contains affiliate links. 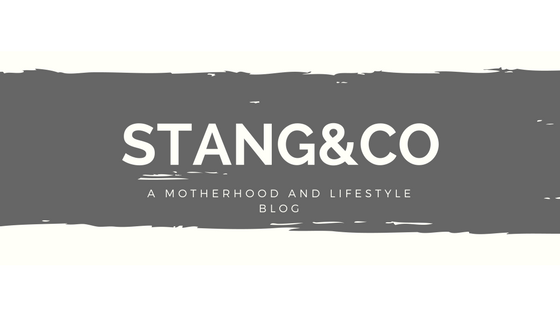 Thanks for supporting the brands that support Stang&Co!